Finding DIY projects on Pinterest is one of my favourite things to do. Even if I could afford to buy the most expensive furniture (which I definitely can’t!) then I would still opt for finding things in charity shops and giving them a new lease of life. I love the imperfection of second hand pieces of furniture and I also love having a house full of things that don’t really match. Facebook groups are also great for finding old furniture at cheap prices. 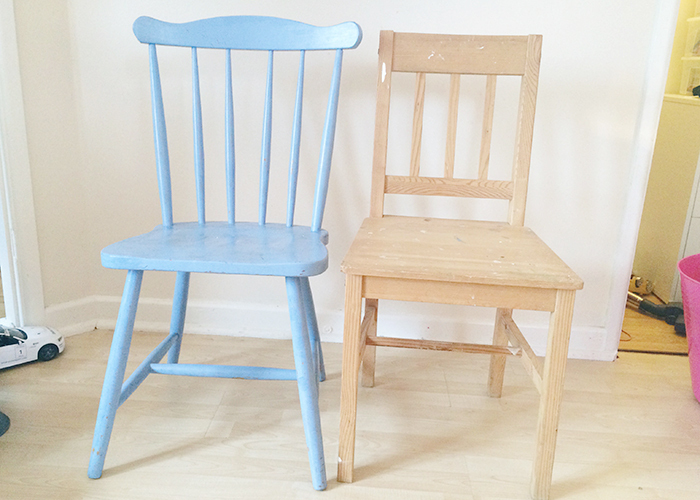 I recently found these chairs for £5 each and when the weather is a bit nicer I’m going to paint them. Painted chair DIY projects like the ones below caught my attention on Pinterest a while ago and ever since I’ve been desperate to give it a go. As well as finding furniture in charity shops I also love finding anything that’s vintage and floral. Sheets, lampshades, cups, clothes.. It excites me more than anything else as you never know what you are going to find. I have such a collection of sheets now and am thinking about turning some into skirts for Cherry once I’ve got to grips with my sewing machine a bit more. I literally squealed with delight when I spotted these cups! I love finding things in charity shops because you know they are unique and they can really give your house an injection of your personality at next to no cost. I also love bright and colourful DIY projects that can brighten up your house like the ones below. These hanging vases by Peaches + Keen are made from old bottles and look so beautiful. Definitely on my list of things to try. 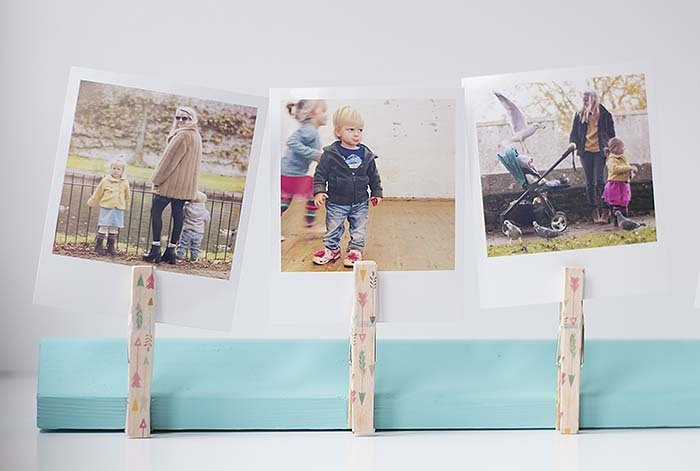 This DIY photo holder is actually something I made on my other blog Let’s Do Something Crafty. I have mine on the window sill in my bedroom. This cutlery has been given a new lease of life with some paint and I love this bright DIY lamp by Pour Mes Jolis Momes. And finally this mug by I Spy DIY has been given a makeover with some dishwasher safe Mod Podge. Something which I need to get my hands on! Follow Jess @ Along Came Cherry’s board DIY PROJECTS on Pinterest. For those times when budget DIY projects won’t do the job and much more expensive home improvements need to be made TSB has a loan calculator that allows you to check how much your monthly repayments to borrow money would be. We don’t own our house but if we did then I would definitely be looking at having a conservatory built!